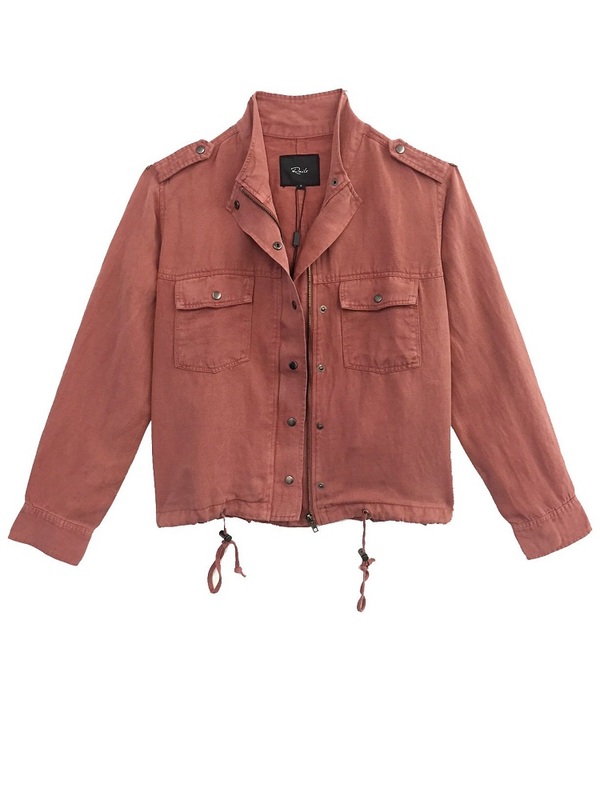 Rails Women's Collins Shirt Jacket (Spring 2019) - Light weight, long sleeve denim jacket with zipper and snap closures, and drawstring hem with toggles. CARE - Machine Wash Cold. Tumble Dry Low. Remove Promptly. No Bleach.